Beach cleanup on Thunder Bay (Alpena News): Thunder Bay Junior High sixth-graders cleaned up trash at Mich-e-ke-wis Park in Alpena as part of the Alliance for the Great Lakes Adopt-a-Beach program on Wednesday, September 25. The students also participated in environmental research. On the same day, high school students cleaned Bay View Park, and also conducted research of their own, testing the water and taking pH samples. Georgia launches first streaming bald eagle cam (Mother Nature Network): Bald eagles first appeared in Georgia in 2012, building a nest near Berry College. The college recently installed cameras in the tree that the bald eagles built their nest in before they returned to lay their eggs. Live footage of the birds started on September 18 and can be seen at www.berry.edu/eaglecam. Missouri ponds provide clue to killer frog disease (Science Daily): A skin fungus known as amphibian chytrid, first found in Australia in 1993, has made its way to ponds in east-central Missouri. Postdoctoral researcher Kevin Smith assembled a team of students who observed 29 different ponds. They found that ponds that contained chytrid were consistently similar to one another. The disease was found in one third of the ponds observed. This disease damages a frog’s skin, making it difficult to breathe or absorb water. It usually ends up being fatal. Officials want Michigan to pay for wildfires (Great Lakes Echo): Representative Bob Genetski introduced a bill that requires the state of Michigan to reimburse local governments for fighting fires on state-owned land. Genetski said the bill won’t require extra money from the state. The bill would make the existing forest funds accessible. Michigan Townships Association Executive Director Larry Merrill says that compensating local governments would not be too expensive. Global warming could increase storm risk over eastern U.S. (Mother Nature Network): A new study conducted in the journal Proceedings of the National Academy of Sciences, states that the risk for severe weather conditions is likely to increase in the eastern U.S. as global warming continues to increase. As more greenhouse gases are put into the atmosphere, there is the potential for more moisture to be held. Scientists discovered that even a slight increase in global warming caused a considerable increase in the type of atmospheric environment that is linked to severe weather conditions. Bald eagles: A conservation success story (Mother Nature Network): Bald eagles in the United States are making a recovery. A pesticide called Kepone nearly wiped out the species in the 1960s and 1970s. 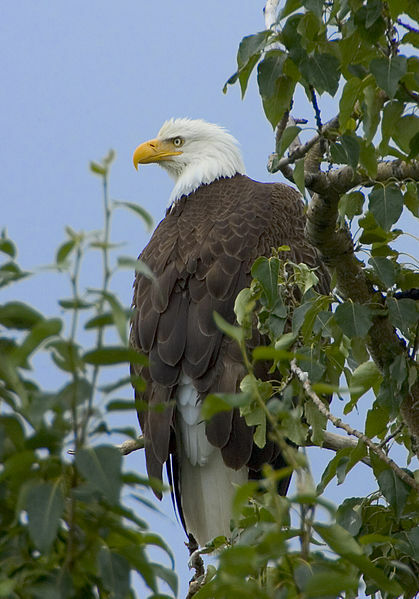 Since then, the bald eagle has slowly been making a recovery, and was taken off the endangered list in 2007. Invasive species and other pesticides still threaten the bald eagle, but restoration efforts are ongoing. Bald eagles reside all across the United States, but are thriving the most along the James River in Virginia. Great Lakes panel still waiting for legislative action on lake levels (Journal Sentinel): The Great Lakes Commission is still waiting on a request passed in 2007 to have the U.S. and Canadian governments figure out how to slow down the water flow in St. Clair River, which is heavily dredged. This would raise water levels on Lake Michigan and Lake Huron. The water levels of these lakes today is almost two feet lower than they would be if not for human interaction in St. Clair River. Some officials suggest an adjustable system that would allow the water flow to open or slow down on the river. USFS: Hunter caused huge wildfire near Yosemite (Detroit Free Press): An illegal fire set by a hunter in Yosemite National Park is what caused the massive wildfire that covered 371 square miles and cost $81 million to contain. The hunter has not yet been arrested, as investigations are still going on. The U.S. Forest Service had banned fires in Yosemite National Park outside of controlled camping areas because of the high risk of wildfire. Officials say the wildfire is now 80 percent contained, having destroyed 111 structures since it started. Climate change may speed up forests’ life cycles (Science Daily): A study conducted by a Duke University team suggests that in response to global warming, the life cycles of tree species are speeding up. One professor at Duke University, James S. Clark, said because of climate change, there are longer growing seasons for the trees and hotter temperatures. Studies conducted on 65 tree species in the 31 eastern states of the U.S. suggest that there is a higher rate of turnover in warmer climates. There are more young trees. Scientists believe eventually trees will migrate to cooler climates by seed dispersal. Pollution in Florida’s Lake Okeechobee swells to near-disaster levels (Mother Nature Network): Lake Okeechobee in south Florida is one of the largest lakes in the United States, and is also one of the shallowest. At nine feet deep on average, the lake is potentially an environmental disaster because of its rising water level. Heavy downpour has caused the lake to rise to 15.5 feet, which some fear is too high. Already, the inflated lake has sent polluted runoff into nearby water systems. The polluted runoff is assisting the growth of toxic algae, which can kill many freshwater organisms. 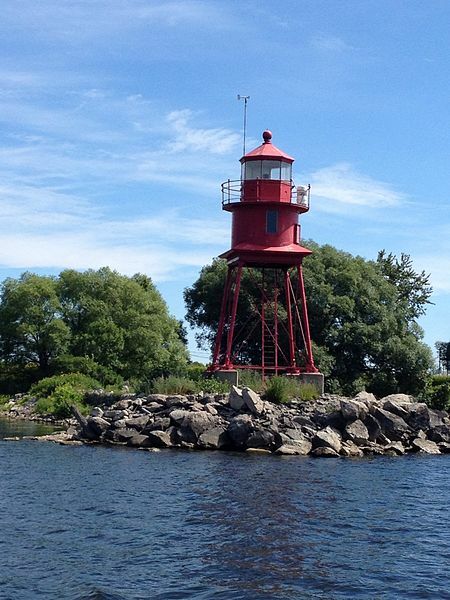 The pollution in the lake is also hurting tourism to the area and real estate prices.